There have been several new members join this past week, welcome! I realize this site still looks a bit empty but it is a “networking” site, so it’s up to you to make it active and fun. Post often, post your formulas, ideas, news, links to news articles and comment on other posts. I want you to know that I’ve been adding new videos and formulas in the Skills area (find it in the main menu bar). 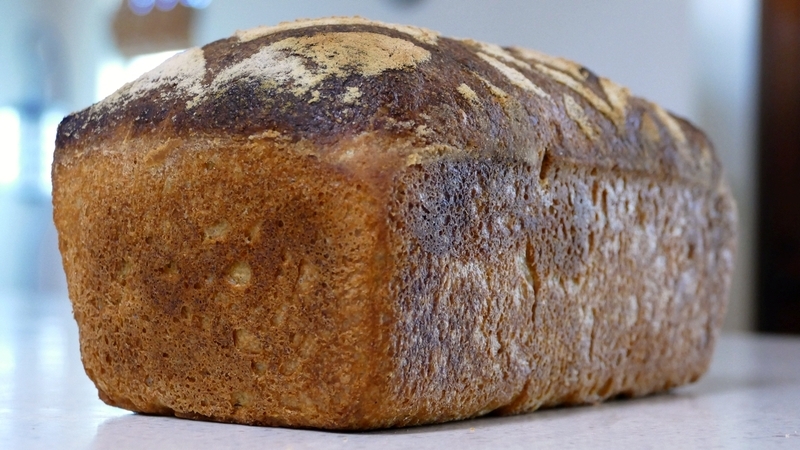 This is a pan loaf made with 100% whole wheat and uses freshly ground whole wheat flour (white whole wheat), water, salt and sourdough culture. The formula is for only one loaf, so it is easy to scale to two loaves or three or six etc. It’s a lovely moist, easy loaf that you will have fun baking. Several of the instructors that I have invited to teach on The Baking Network are still working on their content (videos, courses, lessons) so please be patient until they can get the content posted. We’ve also had a new blog post (see if you can find it and make a comment under his post when you do!) by Mark Gunderman, who will be posting more content in the future. You know him as the bread science guy from Perfect Sourdough! 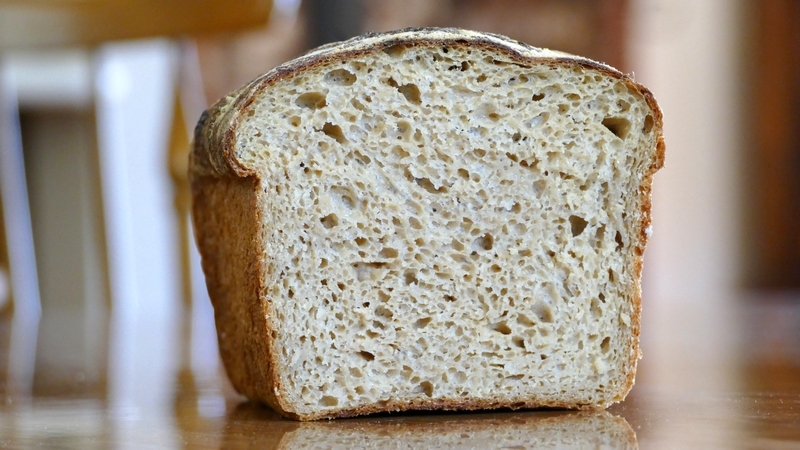 A heads up that there are a few new coupons codes to sourdough baking courses in the Foundation Forum. I challenge all of you to post one one formula in the Formula Forum! Ready, set, GO!